Whether it’s traveling the world, publishing that novel that’s been in your head and on paper since high school, or living to see your kids grow up and have families of their own, we all have something we want to do before we die. For some foodies (be they world-class chefs or lowly bloggers and food writers who write about world-class chefs), their goal is to try new and exotic foods. Cuisines from around the world, a healthy spin on a favorite snack, a meal/snack that was popular in the past and can be recreated today, anything locally grown/made from scratch, a popular dish from a hole-in-the-wall eatery– those are all common items on the culinary bucket list. My culinary bucket list is no different, only I have a few culinary things I’ve done that some either wouldn’t have put on the list or haven’t done yet. I got involved in a culinary education program and graduated (Job Corps does count. I know it’s not as glamorous as The Restaurant School, but I don’t want to put myself deeper in student loan debt). I ate at Claudia Sanders (a Kentucky restaurant created by the wife of Colonel Sanders [the man behind Kentucky Fried Chicken]). I went to a wine tasting — one year as a greeter and another as a…well, I don’t know what I was. I originally came in to be a prep cook for one of the booths, but then I was put in charge of refilling the water pitchers, then put in charge of dishwashing. I was tossed around more times than a salad, but it was worth it, because when does someone like me get to see wine snobs up close? I experienced firsthand what it’s like to work in the foodservice industry (and now have a better appreciation of those who do. I may never get another job in foodservice, but at least I know about the trials and tribulations of front- and back of house service, especially when I worked as a waitress for Chef Ron Schoenberg’s class and when a miscalculation caused me to run out of aioli for fried calamari in the middle of service. Мне очень жаль, Chef Valdet). I ate at In-and-Out Burger. Sadly, I didn’t have any secret menu items from it, but it’s nothing a copycat recipe can’t fix. For my money, though, I like Carl’s Jr. better. Maybe I should have gone for the Double-Double special if I wanted a hamburger meal that will put me in a temporary food coma on a lazy weekend afternoon. 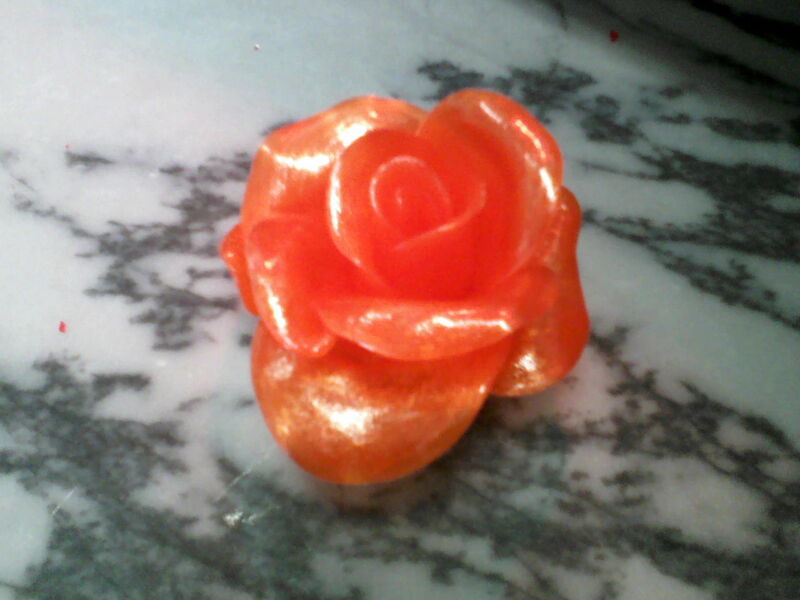 The sugar flower was very hard to do. I don’t know if you know this, but working with sugar that’s been heated to almost near-boiling point (by water standards) is not for those with delicate hands or a low tolerance for pain from burns. Once you get used to it, though, it’s almost like working with glass — and I should know. 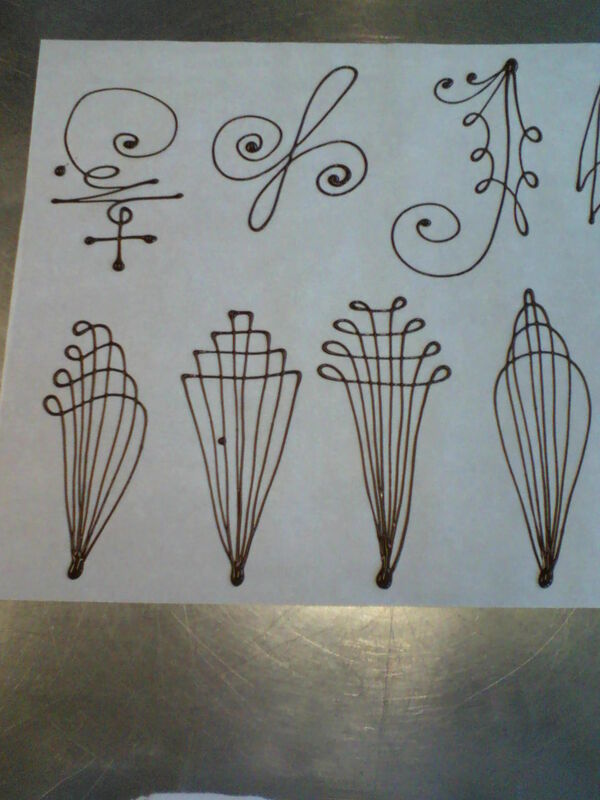 I went to a college where making art from molding and coloring glass was a legitimate major. I got to try milk and cheese that didn’t come from a cow. Might not seem like much, but when you’re away from what you’re used to, you do begin to realize how boring it is and want to try something different. I traveled to San Francisco and went to the Ferry Building Farmer’s Market. It’s a very nice place to go on sunny weekends (which is almost always in California. It only rained, like, twice when I was there, and snow is almost unheard-of, unless you live in Northern California) and you get to sample most things there, from homemade soda to foods I’ve never tried. …Which leads me to my next point. Thanks to my time at Job Corps for Culinary Arts (February 2010 to September 2012), I’m still on the look-out for foods I haven’t tried, recipes I want to do for the family, and relatively unknown eateries I want to visit. One of the items on my culinary bucket list: trying out exotic fruits. Now, this may not seem much like a feat, but some of the supermarkets around my town only have the “safe” exotic produce (and by “safe,” I mean “Everyone has tried this at least once in their lives”), like pineapple, coconut, banana, lime (which I love sliced in wedges or in circles and sprinkled with salt for a bare-bones margarita. You can dip the wedges or rounds in tequila before you salt them if you like your margaritas the way you like your women or men: not a virgin), blood oranges, mangoes, and papaya. I’m interested in the kinds of fruits that either aren’t readily available in the United States or are only available either at a farmer’s market or as juice or part of a juice blend. Here are some of these fruits I’ve tried, and some that I want to try. This first fruit I found was when I went shopping at this store called Produce Junction. 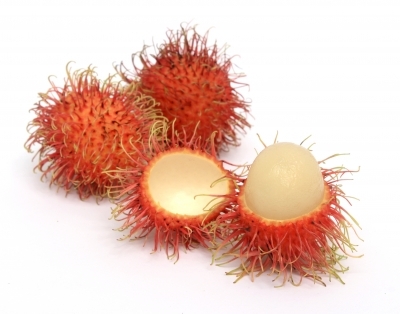 They were labeled as “lychees,” even though a lychee’s skin is thinner and not as “hairy.” What I was eating was a rambutan, which is larger than a lychee, has a larger seed in the middle, and a flesh that taste vaguely like a white grape. My youngest sister, Ashley, took the last one I had (I bought four), then told me, “Don’t buy any more hairy grapes.” Siblings can be so cruel. The rambutan, part of the Sapindaceae family and related to the lychee, the mamoncillo (Spanish lime), and the longan (but not the loganberry), is a Southeast Asian plant native to the Indonesian Archipelago, but has spread westwards to Thailand, Burma (Myanmar), Sri Lanka and India; northwards to Vietnam, and the Philippines. Much like humans, the tree of this fruit can be male (producing only staminate flowers and, hence, produce no fruit), female (producing flowers that are only functionally female), or hermaphroditic (producing flowers that are female with a small percentage of male flowers). The fruit is round to oval (described as being as big as a golf ball or an average-sized testicle, depending on who you ask) and the seed inside is flat and, in Southeast Asian cuisine, edible — something I wish I knew before I ate just the flesh of it. Oh, well, next time. There’s another fruit that looks like this (or at least has the same flesh and seed) called the pulasan, which is native to Malaysia, but has grown in the same places as the rambutan (mostly The Philippines, Vietnam, and Thailand). This isn’t an orange. It’s a kumquat, which tastes like a really sour-to-bitter orange, and, unlike the orange, you can eat the entire thing whole and don’t have to worry about the pith. Credit goes to Chef Georgia Murphy (the Fine Dining instructor I first met. Sadly, I never had her as a teacher because she left) for introducing me to this fruit. Like the rambutan, no one in my immediate family likes this fruit, except for me. 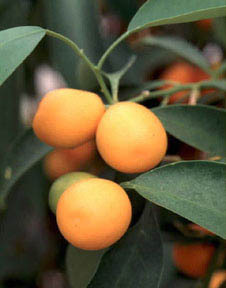 The kumquat fruit grows from a slow-growing evergreen shrub or hydrophytic short tree with dark green leaves and white flowers (similar to its more common citrus relatives). Depending on the conditions, can produce hundreds to thousands of kumquats annually. Like the rambutan, the kumquat is found in Southeast Asia, but the kumquat has also been found in other Asian countries, like Taiwan, India, and Japan, and has even been cultivated on some islands on the Pacific Ocean. You have probably seen this fruit a lot on beautifully-crafted fruit baskets (Edible Arrangements does them all the time) and assumed they were pineapples cut into star shapes. I thought that’s what they were as well, until I read in my culinary notebook that star-shaped fruit does exist. Starfruit (real name: carambola) and the tree on which it grows can be found in the tropical regions of the world, particularly in the Asian countries of India, Sri Lanka, The Philippines, Bangladesh, and Indonesia, but the trees also grow in the South Pacific and even the Caribbean. Don’t let the bright orange color fool you. This is not a citrus fruit. Speaking from experience, the taste is more on-par with a honeydew melon with a hint of cucumber. Besides using it as an interesting piece in a fruit basket, you can use it as an interesting piece in fruit salad (or a green salad. Hey, if grapes, tomatoes, and cranberries can do it, then this fruit can too). And don’t rule this out when grilling fruit (it tastes just as good as grilled pineapple on a hamburger) or using it in making flavored water. The best looking star fruit may not be the most ripe and delicious, so choosing the right one is important. Your best bet is to find the fruit with the least amount of green on the edges and the richest orange color. This could mean there are some brown edges, but don’t let that deter you. It’s still good. The stamen does look like something from a low-rent sci-fi movie about aliens, but what girl wouldn’t want this as a corsage or the centerpiece of a dress or wedding veil? I know I would. You’ve probably seen this around — maybe not the actual fruit, but its juice has made appearances — both solo and with other juices (even if it’s artificially flavored). The top pic is a passion fruit (if you’re reading this in South Africa, then this is known to you as a purple granadilla; if you’re reading this in Hawaii, then it’s a lilikoi), a fruit from the vine plant Passiflora edulis. Its flower (shown below) looks like the kind of flower that has graced the wrists of many a dolled-up prom queen or a bride who wants a wedding that’s part fairy tale, part Polynesian/South Pacific paradise. 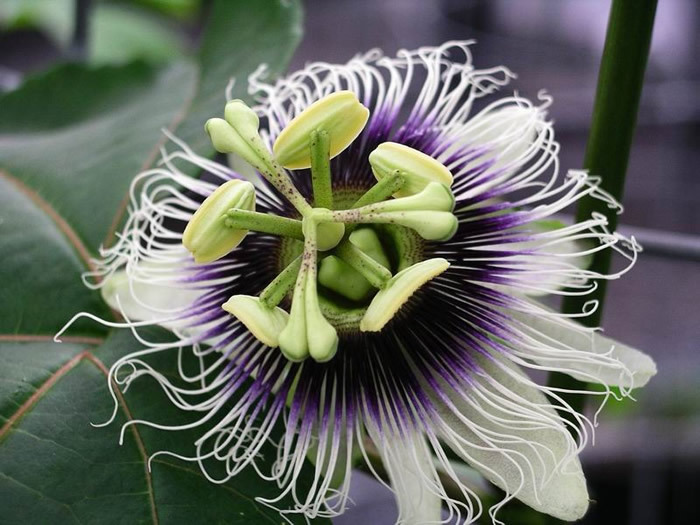 Passion fruit gets its name, not because the fruit is said to be an aphrodisiac, but because parts of the flower will remind Christians and Roman Catholics of Jesus’ crucifixion (often referred to as “The Passion of the Christ”), in this case, the tendril-like petals circling the plant’s reproductive organs look similar to the crown of thorns Jesus had to wear as he was carrying the cross on which the Roman soldiers would nail him. Grisly, I know, after I said that the flower looked like it could be on a corsage or a wedding veil, but that’s the beauty of this blog: you get gritty, disturbing facts and whimsical opinion/kooky observation all in one sitting. Passion fruit is native to Brazil, but have also grown in Central America (the countries between Mexico and South America, like Honduras and Costa Rica), the Caribbean (specifically Haiti and The Dominican Republic), the United States (California, Florida, and Hawaii, as those states have the right climate to grow this type of fruit), Asia (west and east, meaning that you can see passion fruit plants in Israel as well as Cambodia), and in Australia. Basically, any place that’s always warm and doesn’t have to worry about snowy conditions is where passion fruit thrive. Passion fruit comes in two varieties: the purple one with the yellow and black seed sacs (which I have tried and is what is commonly used when bottling passion fruit for commercial use) and a vanilla type that’s elongated, yellow, and has a pale green flesh that (surprise, surprise) taste like vanilla. I don’t know if you can use it as a substitute for vanilla beans like people do with vanilla extract, but if you can find the vanilla passion fruit, it does make for a good frozen treat flavor. Can you imagine vanilla passion fruit ice cream with dark chocolate chips or vanilla passion fruit sorbet served as a tasty palate cleanser between meals? For cost reasons, the actual passion fruit isn’t used often in the kitchen, unless you’re an ambitious pastry chef/pastry instructor with connections and/or money to burn, as I have seen pictures of passion fruit pulp used as a topping on high-end restaurant-style desserts. (You know the kind I mean: the kind served on plates with sauce fancifully drizzled over the dessert, the ice cream is molded into quenelles rather than scoops, the portions are small and the price is somewhat more outrageous than what you had to shell out for the entree, but the flavor usually makes up for it, and the dessert itself is often soaked in an after-dinner liqueur and lit on fire for dramatic effect — I’m looking at you, cherries jubilee, crêpes Suzette, and bananas Foster). Most chefs find that it’s just better to use canned nectar or passion fruit juice and only use the actual fruit if you’re making a jelly or pastry filling. Like with the rambutan, I found and bought passion fruit at a produce store. In this case, however, it was Iovine’s Organic Produce at the Reading Terminal in Center City, Philadelphia last summer. It didn’t cost much ($2.99, I believe) and wanted to try it just for the purpose of making a blog post about it (in fact, this originally was supposed to be the second or third post, but I had a hard time making it work). You’d think a fruit like this would have a taste that’s out of this world. Well, it does and it doesn’t. It has a creamy flavor and its juice is infinitely better than what you can get at the store, but that’s if you can handle the tart flavor that almost parallels what pomegranate tastes like. Not saying I can’t handle tart flavors, it’s just that I expected passion fruit to be different since it’s a more-or-less rare fruit and not many people have tasted it. It’s similar to how people say most meats taste like chicken, despite how exotic and uncommon it is (though I’ve had lamb and goat before, and you will never hear me say that they taste like chicken, beef, or pork). And that’s where I am in trying rare/weird fruits on my Culinary Bucket List. I want to reach ten, so that means I have six more to go. I know the next fruits I want to try are dragonfruit (pitaya), mangosteen, and, the smelliest fruit on the planet, durian. Which exotic/tropical/rare fruits do you, my readers, think I should try. The comments section is yours to offer suggestions. This entry was posted in Exotic Fruits, Juice, Lecture, Produce, Weird Kitchen Stuff and tagged chocolate work, commentary, comments section requests, culinary bucket list, desserts, exotic fruits, Iovine's Organic Produce, passionfruit, pictures, Produce Junction, rambutan, sugar art, what I did at Job Corps. Bookmark the permalink.